This is a special-order shoe. PLEASE ALOW 4-6 WEEKS FOR SHIPPING .FINAL SALE. Limited stock is available,if placing a rush order please call to check availability. Order 1/2 Down From Regular Street Shoe Size. Sleek open toe sandal. Classic ankle strap. Signature knot across the top of the toes. Full grain leather upper. Leather sole and top lift. Fully leather lined. Cushioned suede socklining. 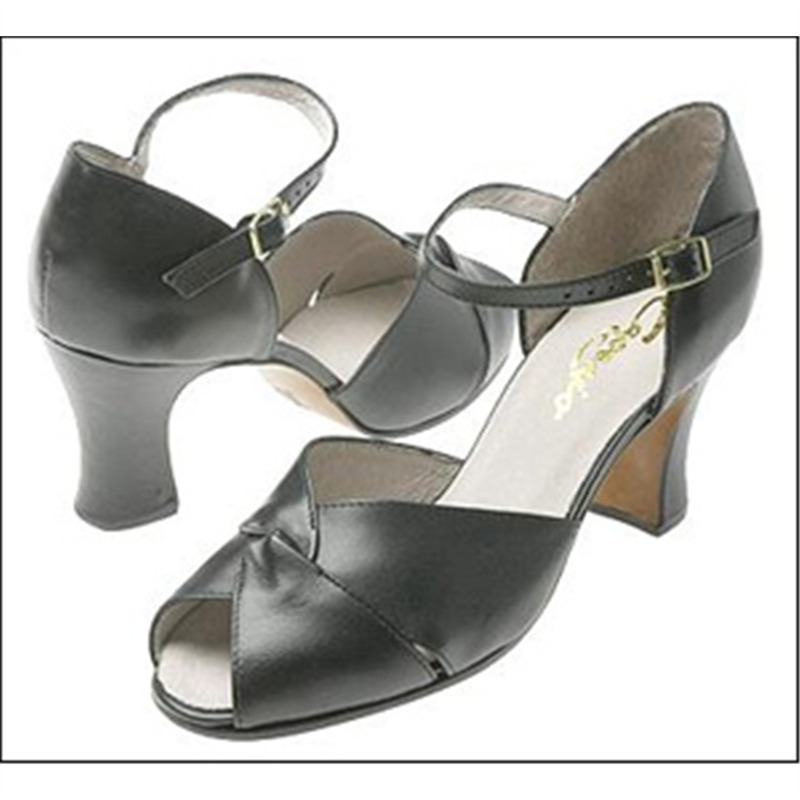 Extra sturdy full breasted 2-3/4 inch heel for professional quality support.